Oolongs exemplify the concept that some teas can be re-steeped multiple times and yield an incredible volume of drinkable tea. This practice works best when the leaf is steeped in a small vessel, but it also works reasonably well in a large teapot. Shui Xian is a leafy, dark, charcoal-roasted, highly-oxidized strip-style rock-oolong (yan cha) from the Wu Yi Shan area of northwestern Fujian Province, China. 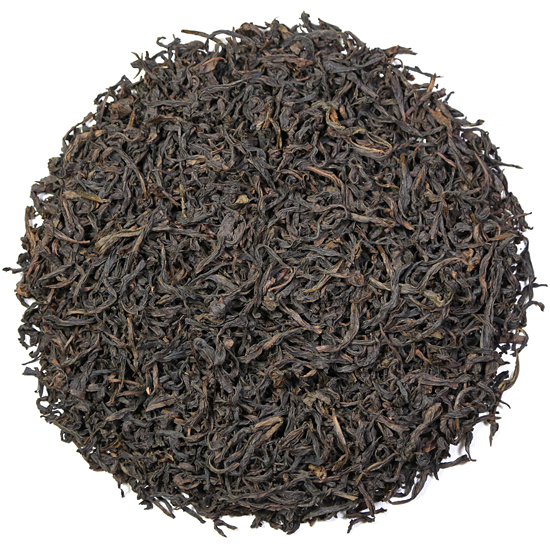 As with all true rock oolongs, this tea is named for the specific tea bush cultivar from which the fresh leaves are plucked. Shui Xian is grown widely throughout the Wu Yi Shan and other regions of Fujian Province. It is one of the most classic varietals grown for yan cha and has been popular among Chinese oolong enthusiasts for a very long time. It’s appealing flavor is gaining new fans from the west, too, every year. Shui Xian is also known as Water Sprite Oolong. 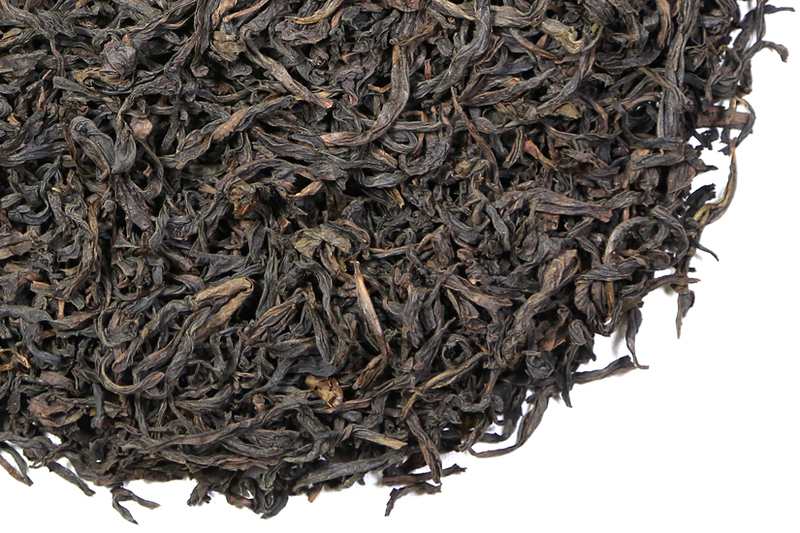 This particular manufacture, from a small village in the original producing area of the Wu Yi Shan, has large, broad, thick-ish, un-twisted but open-folded leaves and has been finish-fired over charcoal. 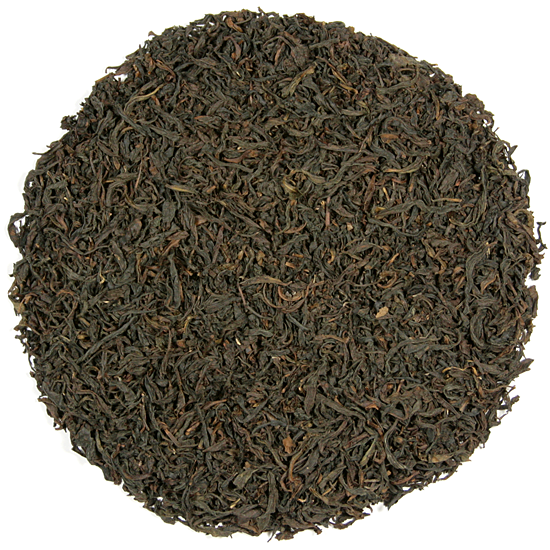 This is a delicious, earthy tea with an intense, spicy brew that still maintains some floral sweetness. The fragrance is rich, with a suggestion of caramel, raisins and almonds. The flavor is pleasing and is reminiscent of pumpkin or winter squash. The tea is underscored with the charcoal roasting but the essence of the tea is not overshadowed by it. Shui Xian tea bushes grow in several areas of the Wu Yi Shan, and in each area tea bushes can be young ( less than 10-years), mid-aged ( over 50-years); or 100-years or older (lao cong.) This Shui Xian is made from tea bushes that are approximately 5-years old and full of vigor. It is a very full-bodied tea and has slightly higher amino acids than some other yan cha, which provide long-lasting after-taste and an overall soft, rich mouth-feel. This very special Shui Xian is for those who love to drink a smooth, satisfying and delicious dark oolong.